The Lucky Dragon, the first casino built from the ground up since the Cosmopolitan in 2010, celebrates its grand opening Dec. 3 with fireworks and dragon and lion dances in celebration of Chinese culture. Bill Hughes/Las Vegas Business Press The Lucky Dragon at 300 W. Sahara Ave. will cater to Asian Americans. 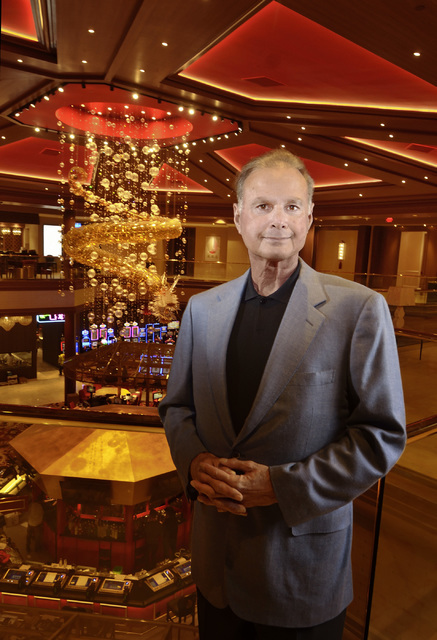 When Andrew Fonfa bought five acres on Sahara Avenue next to the Strip for $2.7 million in 1985, he always envisioned a high-rise hotel casino on the site. It took the Great Recession to make that dream a reality, even though it’s not quite what the 64-year-old Fonfa envisioned at the time. Fonfa, president and CEO of the newly opened Lucky Dragon, calls the casino an homage to old Las Vegas with its emphasis on food and gambling — only this is old Las Vegas, Chinese style. The Lucky Dragon is open about its marketing as a local’s casino catering to Asian Americans, including those of Chinese, Korean, Japanese, Filipino and Vietnamese ethnicity, living in Las Vegas. It’s using the Chinese-language newspapers and other media in Las Vegas to market to those customers and to those in California as well. Walking through the Lucky Dragon, that emphasis is visible with a 1.2-ton dragon hanging from the ceiling, and there’s other Chinese artwork and finishes. The signage is in Mandarin Chinese first and English second, and the hotel and casino has many frontline employees who speak Mandarin and other Asian languages. 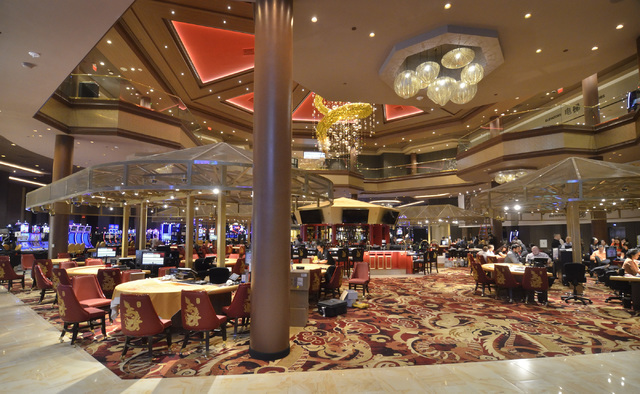 While there are 300 slot machines, the emphasis is on table games that Chinese-Americans and Chinese nationals enjoy, such as baccarat, pai gow poker and mah-jong. There are no roulette or craps tables and only a few blackjack tables. That doesn’t mean all groups aren’t welcome, because Fonfa said the five restaurants that serve authentic Chinese food will attract a diverse group wanting to sample that cuisine. The night market, the casino’s definition of a buffet, will have specialty food dishes from Chinese, Filipino, Japanese, Vietnamese and Korean cultures that will appeal to many groups, he said. 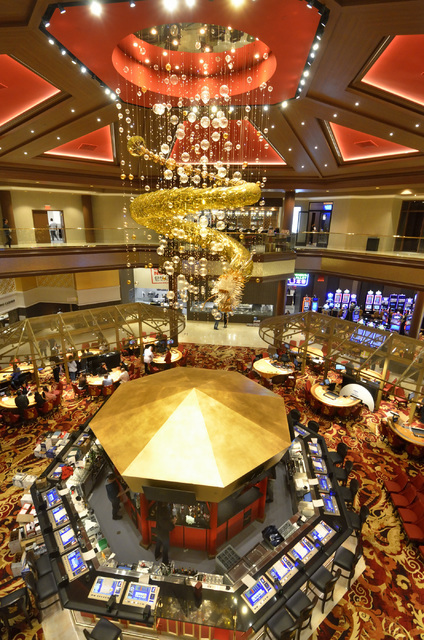 Fonfa, whose family is of Italian and Jewish heritage, said he enjoys Chinese culture and has visited China several times, but making the casino a reality was about bringing in experts for its design and construction. The Asian-based theme of the casino came down to economics in the end, Fonfa said. Some 31 years ago Fonfa saw his property getting developed as a traditional Las Vegas casino, but that concept was put on hold when the Excalibur, Luxor and Mandalay Bay were built on the South Strip instead of the North Strip as he envisioned. 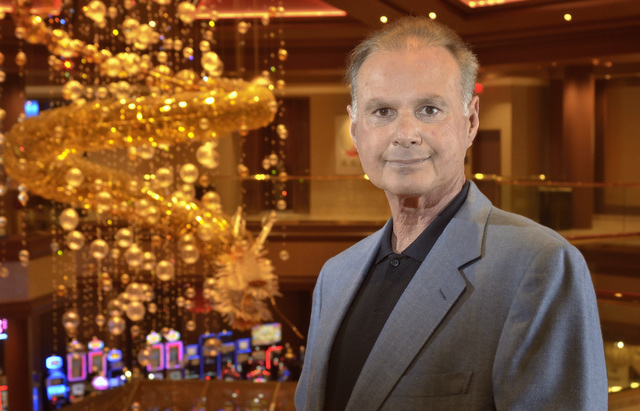 A real estate developer who constructed condos, apartments and small retail shopping centers over the years, Fonfa said he always wanted to be in the casino business. He bought a property on Boulder Highway near Sam’s Town and had plans to build a casino there before Station Casinos bought the land from him and built Boulder Station down the road. The five acres had some apartments and a row of ethnic restaurants that Fonfa allowed to remain in place for years until he decided to develop the site a decade ago. That took the form of the Allure condominiums, where Fonfa planned to build two towers with 430 units each. When construction was underway on the first tower in 2008, Fonfa said the onset of the recession made it difficult to close on the sale of condos and prevented a second tower from going forward. Half of the $250 million condo project was pre-sold, but financing to close on the units became difficult with the financial crisis and subsequent housing crash, Fonfa said. Allure needed buyers and cut its price from a high of $800 a square foot in half and sought out Chinese-American buyers in Los Angeles and San Francisco, and targeted the Chinese community in Vancouver as well. The reason is they had cash to buy the units at a reduced value without going through bank financing, he said. 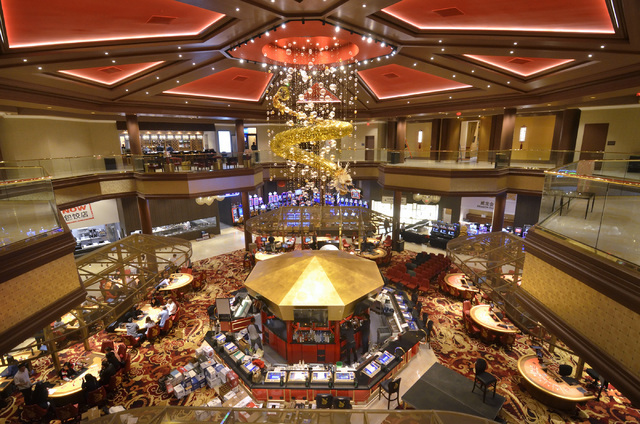 Allure is connected to the Lucky Dragon as part of a master-planned development that exceeds a half-billion dollars, Fonfa said. It was financed by Fonfa and his family and the Weidner family, of which James Weidner is managing principal. Bill Weidner, former president and chief operating officer at Las Vegas Sands Corp., served as an adviser for the project. The developers also used the EB-5 immigrant investor program that allows people to invest $500,000 if it creates 10 jobs, Fonfa said. In return, the investors and the family are eligible to apply for green cards, according to the program. Between the construction and casino opening, the project created 3,700 jobs, including 750 casino jobs, Fonfa said. The hotel has 203 rooms, 22 of them suites. Most of the rooms will be comped to visitors, but for those that aren’t, the room rate could range around $160 to $170 on average, Fonfa said. The Lucky Dragon, the first Las Vegas casino built from the ground up since the Cosmopolitan in 2010, celebrates its grand opening Dec. 3 with fireworks and dragon and lion dances in celebration of Chinese culture. Hainan Airlines will have its first direct flights from China on Dec. 2, and a number of guests will be arriving on that flight, Fonfa said. He said the Lucky Dragon will lure customers from China and from other casinos because it’s important to have customers greeted in the language they speak. Locals, however, will make up the majority of the customer base, and many will come by car, since there isn’t enough foot traffic on the north end of the Strip at this time, Fonfa said. The Lucky Dragon ultimately will have competition nearby when the Malaysia-based Genting Group opens its $4 billion, 3,100-room Chinese-themed Resorts World Las Vegas in 2019, and Fonfa called that good for his casino. The north end of the Strip could become the Asian-themed area and suggested it could spur MGM Resorts International to follow that concept on its North Strip property across from the Lucky Dragon, Fonfa said. Fonfa isn’t done with development in and around the Lucky Dragon and Allure. He said he plans to build some Chinese retail and maybe a Chinese movie theater and even some additional residential to create more of a “critical mass” for the casino that stands out on the Strip. 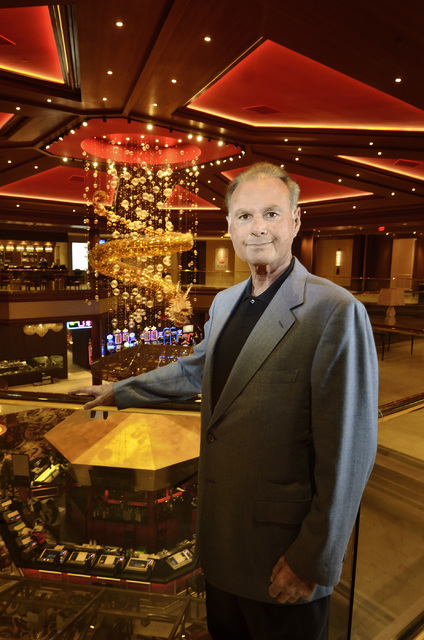 “I think each hotel-casino is on its own, and they’ve got to find their own way and what kind of marketing and niche they are looking for,” Fonfa said. “Our niche is the Asian clientele, and we know who we are. I think a lot of hotel-casinos on the Strip are competing for that 21-year-old nightclub customer. We don’t have a nightclub, and we don’t have some of the non-gaming amenities that the larger hotel casinos have.